Marian Wynswich’s life is about to change. Their father died deeply in debt after gambling away all their money and property, including Covenden Hall, their home since forever. So Marian is determined to make their last Christmas here as happy as it can be before it is taken away from them. 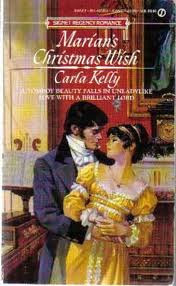 In an effort to save everything though one night her older brother Percy comes home with two moneyed gentlemen in tow. The first is the ugly Sir William Clinghorn whose only aim is to find a meek and dutiful wife. He later on proposes to poor Ariadne, Marian’s sister, who happens to be in love with the town vicar Sam Beddoe. The other guest is Gilbert Collinwood, Earl of Ingraham. At once Marian and Gil hit it off, with him saving her many times from embarrassment, especially with Sir William whose high and mighty airs did not endear him to the family. Having had enough, Gil plots with Marian’s other brother, the troublemaker Alistair, to scare William out of their lives permanently and succeeds. Set in the time of Napoleon, the story has political undertones that explain much of what and why Gilbert is as he is. In fact, the nature of his work is the reason for the main confusion and heartbreak of the heroine ¾ into the story. The author completes the personalities of the heroine and her hero with their words and actions. We see that Marian, though with a good heart, gets into much trouble with her loose tongue and sharp mind. Gil on the other hand is secretive yet very kind and particularly attached to Marian, despite the 12 year age gap. There are many threads in the story which weaves together nicely enough in the end. 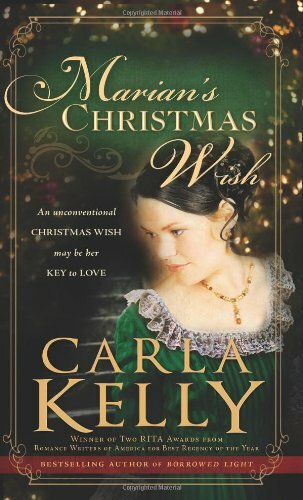 But one must be most interested in a historical romance before starting this book as it will take awhile to finish. It is a lovely story though with a sweet ending. Perfect for romantics this holiday season.